Australia used to be one of the world’s biggest users of asbestos. Not only that, but the country was also a primary supplier of the material. From 1930 to 1983, more than a million tonnes of the material was obtained from the country. This explains why Australia ranks second following the UK when it comes to asbestos-related fatalities. Studies, though, show that asbestos can be hazardous to a person’s health. Because of this, the country decided to stop mining and ban the material. But this ban took effect only in 2003. Also, about a third of the homes in the country still have the material, according to the Asbestos Safety and Eradication Agency. The likelihood is higher for the ones built around the 1980s and earlier. What makes the problem even more difficult is the fact asbestos can be anywhere. They can be in the roof, gutter, and insulation. They can be present along with cement or concrete. Asbestos exposure is dangerous, but the risks are high when the material is broken. When it happens, it can release fibres that people can inhale. In other words, as long as the material is intact, the exposure may be less. It doesn’t mean that it is eliminated. It doesn’t matter whether the asbestos is whole or not. People with no training on its handling or disposal should never touch it. For those that need to get rid of them, they can consider a skip hire in Sydney. With this service, they can have certified asbestos management specialists on-site. They can work at night to reduce mass exposure. They can also be experts in demolition and waste disposal. Hiring both the bins and the service also provides flexibility for the clients, especially when it comes to costs. 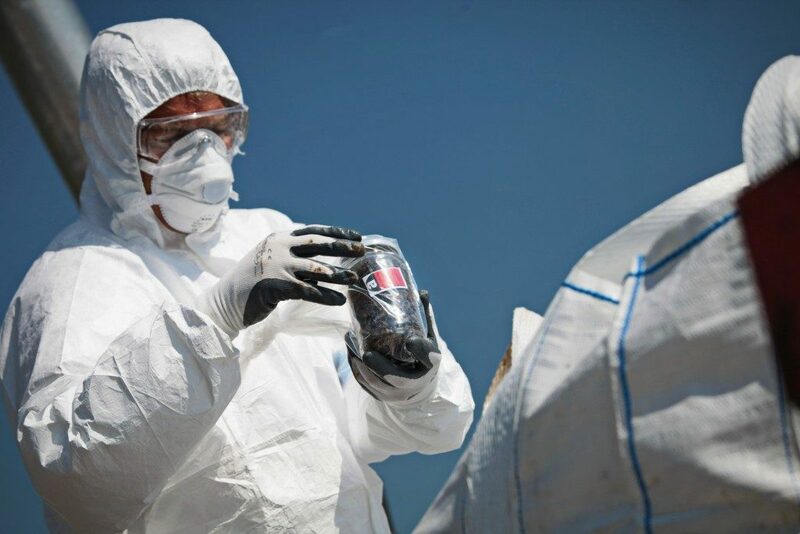 The removal and disposal of asbestos is a high-risk job, and as such, it commands a high price. Do you know that you can “pass on” asbestos to your loved ones? Here’s a scenario. You happen to expose yourself to the material while working. When you reach home, you immediately change your clothes, telling your spouse to wash them as soon as possible. Now, you’re exposing your loved ones to the same material. After all, they can inhale or touch the fibres on the clothes. Remember that the skin cannot absorb the material, but it can stick to it. It can also lodge on the hair. Asbestos is dangerous, but so is misinformation. Knowing the truth can help you deal with it better, including whom to ask for help to get rid of it. Find out more at Student Assembly.